The Russian men’s hockey team was ranked second in IIHF from 2015 to 2017, with Canada in first place. 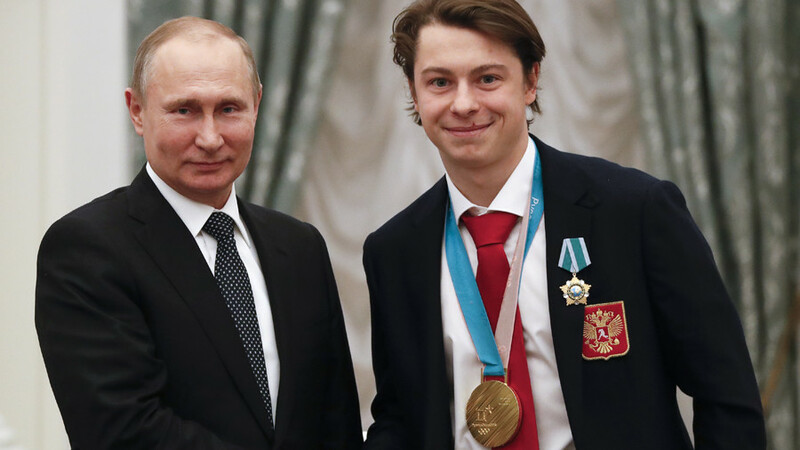 At PyeongChang 2018 Winter Olympic Games, the Russian hockey team advanced to the men’s finals. After Robert Mueller’s ‘no collusion’ report spectacularly dismantled the ‘Russiagate’ narrative, some media outlets can’t let it go. 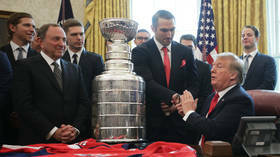 The New York Times has found some bonus collusion: between Trump and a Russian hockey player. Social media users were left fuming after organizers of the World Junior Hockey Championship in Canada failed to include the Russian flag in a closing message to fans and hosts at the tournament. Russia ensured they ended the World Junior Hockey Championship on a high as they beat a determined Switzerland to win bronze in Vancouver, Canada. Russian captain Klim Kostin appeared to have some choice words for a booing crowd after his team’s defeat to the United States in the semi-finals of the World Junior Hockey Championship in Canada. The ice hockey Junior Club World Cup has concluded in Sochi, with Russian club Loko Yaroslavl claiming victory in the final against Swedish team HV 71.